Rebecca Gibb MW, DipWSET is an esteemed wine writer and director of The Drinks Project, a ‘small but perfectly formed’ wine and spirits consultancy and a puzzle company Bamboozled. With her new book for the Classic Wine Library series hot off the press, she talks to us about where she looks for inspiration and some exciting new projects in the making. As an award-winning writer who has contributed to international wine trade titles for over 10 years, where do you look for inspiration for fresh content? The people and the places they live, work and make wine are the best source of great ideas and inspiration. What keeps readers engaged is a great human story; write about rootstocks and barrel types and your article becomes a cure for insomnia rather than a great read. Wine is made for our enjoyment and wine books should be too. 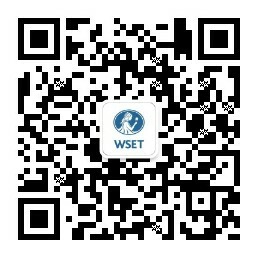 How has your WSET and MW education helped you in your career? The WSET and MW qualifications have given me credibility. As an outgoing blonde with a north-east-England accent and a comprehensive school education, I did not fit in when I moved to the genteel London wine trade. I wasn’t going to change but I did want to be taken seriously. While I swore that I would never embark upon the MW after the challenge of the WSET Diploma, after a couple of years not studying, I was itching to get back to the books. Having the MW after my name means that people know that I know my stuff. There are still the occasional trolls who try to undermine you but they are best ignored. You recently authored a book ‘The Wines of New Zealand’ as part of the Classic Wine Library series – tell us a bit about this book and what you hope readers will gain from it. I hope that, first of all, readers enjoy this book. Wine books can be about as exciting as reading the telephone book and while this is most definitely a reference text with all the technical information you’d could ever hope for – methoxypyrazines, thiols, rotundone et. al – it is also engaging and approachable. After all, wine is made for our enjoyment and wine books should be too. Are there any other new projects you are currently working on? Crikey, where do I start? As well as working as a contributor and editor on several magazine projects, I have also expanded my remit beyond journalism. I have a company called The Drinks Project, which helps small wineries to build their presence in the UK. We act as the ears, eyes and boots for producers who need a market manager in the UK but can only afford a few days or a week a month. I’m also about to launch a wine map puzzle company, Bamboozled, in the coming months. Need to swot up on your Bordeaux appellations or your whisky distilleries for an upcoming exam? Do it with a 500-piece jigsaw. With a passion for wine history, if you had the chance, what moment in time would you have liked to experience first-hand? My Master of Wine Research Paper focused on the 1911 Champagne riots so I would love to go back to the period leading up to the riots to better understand its causes. It was a time of flux for the region: phylloxera ravaged the vines in the late 1890s and early 1900s totally changing the face of its undulating landscape; grape growers were living in poverty despite Champagne sales booming, and fraud was rife. Protestors took to the streets and Champagne houses in Aÿ were burned to the ground. I cover the riots in my next book, which I’ll be sure to let you know about when it’s written! However, I think I’ll go and have a lie down first. Or maybe a glass of New Zealand Albariño. Visit Rebecca Gibb MW, DipWSET's website at rebeccagibb.com.